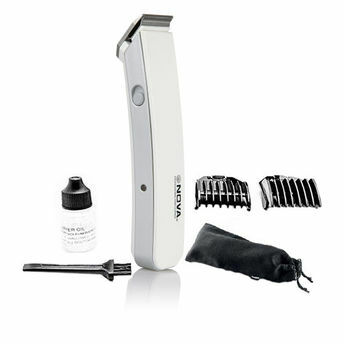 The Nova trimmer features stainless steel cutting blades that trims your facial hair precisely, thus giving you a smooth and comfortable trim. Moreover, the variable cutting length and adjustable cutting settings makes trimming an easy task. The powerful motor ensures an efficient performance. Explore the entire range of Trimmers available on Nykaa. Shop more Nova products here.You can browse through the complete world of Nova Trimmers .